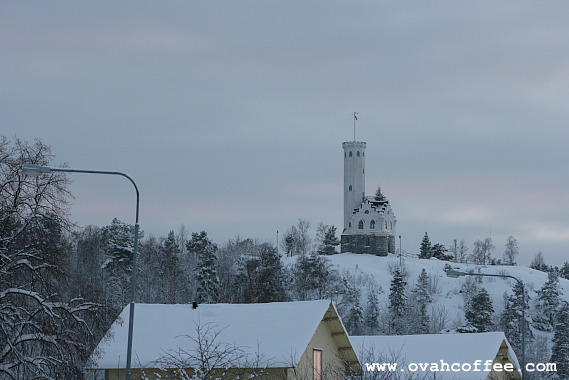 If ever you drop by our town [Söderhamn, Sweden] one day, either planned or just by chance, I recommend that you spend a little of your time dropping by Oscarsborg [pronounced as: os-cars-bo-ri, known in English as Oscar Borg], known as the town's symbol. 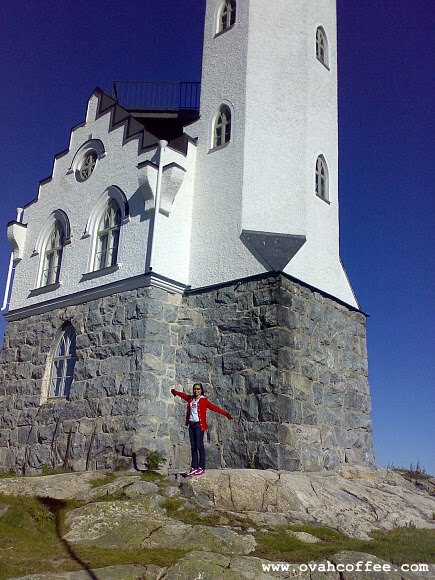 The 23 meter high tower, established in 1895 is located on the East Mountain in Söderhamn. If you are in the center of the town, you will never miss it as it can easily be spotted [You'll know what I mean when you're here in our place *wink*]. When there, try to get inside the tower and climb the old wooden steps to reach the top. It's up there where you can get the best view of the entire town. I bet, you'll truly love Oscarsborg. I know because I just know!